A tag is a tool that makes the information convenient for readers and structures it for search engines. With the correct design of H1-H6 tags, a website’s page is easier to bring up to the top rank. 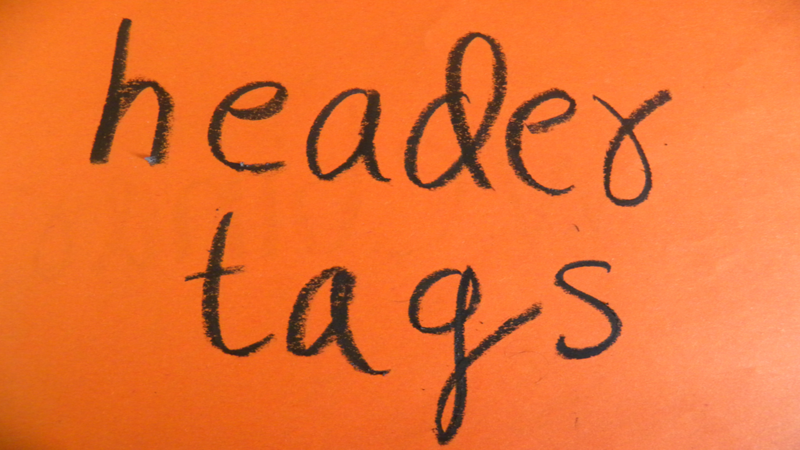 Header tag rules are simple but often ignored by many trying to outsmart the search engines or just due to ignorance. The results may reduce the effectiveness of website promotion. The H1 tag is used only once on the page at the beginning of the text. A common mistake is trying to increase the importance of the information by making all or more of the subheaders in H1. Search engines recognize such deception and may downgrade the page. The key phrase is an important element of H1. Although the key placement is more focused on search engines, do not forget that the header should also reflect the essence of the content for the user as well. Also, you need to pace yourself and avoid putting a few key phrases in H1. Readability is a must for H1. A key is entered in the header text organically to be accepted by both a person and a search engine. “Buy a smartphone cheap in New York” is a phrase easy understandable by a search engine, but potential visitors of a site would hardly like it. H1-H6 tags should be informative. Do not make them ornate or allegorical. Visiting the page, a person should immediately understand what it is about. If they see the foggy header, they may think there is no information of interest. H1 is a “start line” for the entire page. Its main task is to attract visitor’s attention, to convince that they will find exactly what’s needed. Therefore, the header should be brief, capacious and informative. Stylistic features will differ depending on the task of the page – a call to action or communicating information. You shouldn’t duplicate Title when creating the H1 header. Despite the fact that they perform similar functions, the Title is more human oriented than search engine oriented. The main task of the Title is to make user follow the link to the page, and the H1 header’s – to stay and study it. The important parameter of H1-H6 is truthfulness. At first glance, the reader determines if he/she will find the desired information on the page. If the header promises that after reading the section, the reader will learn to distinguish between natural and artificial honey, it should happen. If the reader learns only that it is difficult to find differences, sellers lie, and salvation is possible “only on our site” – they will leave. And even the most informative header won’t keep them. Subheader tags H2-H6 are situated on the page in order of importance for visitors and search engines. At the same time, it is necessary to strive to ensure that they are as different as possible. If there’s a need to type in identical keys, it is desirable to change forms and add some extra not used before words. Subheader tags H2-H6 are not just a way of making different sizing. They also help search engines rank the results in the output. And if a search engine finds two pages with subheaders <h2>How to distinguish between real and artificial honey?</h2> and <h6>How to distinguish honey from artificial honey?</h6> under other roughly equal conditions, it can position above the first one. H1-H6 do not need other elements of a page included – pictures, navigation elements that are found on each page of a site, as well as add styles. Since everything that is inside H1 will be considered as the header by a search engine. And this can make it difficult to index the header code. Irina is a Chief Marketing Officer at ITRate.co. Among her skills: Studying traffic, analytics & competitors, Building strong & natural backlinks, Brand analysis, Researching the newest SEO practices, Communication with writers, editors, designers and programmers.